There was a time when America owned most of the world’s gold, a 22,000 metric tones. In 1945, America over more than 80% of the gold held by nation states and central banks. Today, America owns 8000 metric tons, which is only 42% of the entire global reserve. 14,000 tons were used in defence when the gold benchmark was just $35 under the 1944 Bretton-Woods Agreement. At this point, the currencies of the world were pegged to the dollar. For the longest time, gold was pegged to the U.S dollar. This created the misconception that the dollar has been just as good as gold. Of course, we know that it isn’t however, at the height of the gold standard, some European nations like Germany and France came to realise that America’s inflationist economic policies have done nothing much but deflate the dollar. It became apparent that the dollar was not as good as gold. Over time, they exchanged their dollars for gold at the U.S. Treasury. By the time the 70s rolled by, the U S Treasury’s stockpile had gone down by 64% as 14,000 of the gold got exported to Europe. This all came to a stop when President Richard Nixon decoupled the dollar from gold. He devalued gold and allowed the dollar to be traded at market prices against other currencies. If the U.S had not defended the $36 price benchmark for gold, then the U.S might not have lost all that gold. It would own at least 75% of the global gold reserves. What we now know about the gold market, drawing from history is that we are in the 47th year of a bull market in gold. This began way back in 1971 and was tied with the fate of the dollar. As long as cause-and- effect apply or supply and demand, gold will continue to make sense as an investment option for hedging funds. These are observations that may not be shared by everyone. Some people may still continue to see stocks and bonds as the only way to earn high returns on investment. These are people whose faith depends entirely on the Federal Government and the Federal Reserve making the right decisions. Those who agree that there is a lot to be gained by having gold in their investment portfolios will continue to hedge their investments with the yellow metal and other precious metals. 1971 wasn’t the only time that America’s economic policies plunged the country into an economic crisis. They have seen it happen in 2008 as well, and other bad economic times in between. They may have lost out on the opportunity to cash in when the price skyrocketed or they may have lost out on an opportunity to get into the gold market. History has a lot of lessons to teach. Investors who take the time to study the historical price fluctuations of gold can learn a lot. As for how much gold we still have on the earth, the U.S. Geological Survey estimates that there are still 58 tons of gold that is available. Compare that to the amount of gold currently being used, the amounts being bought and used and you will realise how small that ultimately is. 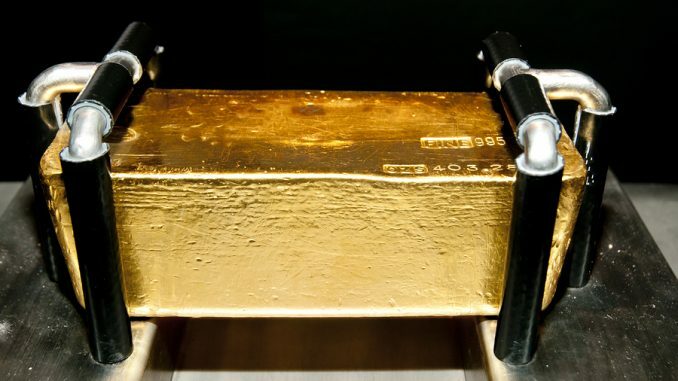 The law of Demand and Supply plays a great role in the gold market. Prices respond to demand and supply and so far we seem to need more than we can produce.